Fewer Americans are reaching for a bar of soap in the shower when bathing and at the sink when washing their faces. According to a new report by market research and market analysis group Mintel, 55 percent of consumers find bar soap inconvenient compared to its liquid counterparts. Respondents complained: Bar soaps leave residue, require a dish for storing, and aren’t as long-lasting as liquid soap. In 2014 and 2015, bar soap sales dipped 2.2 percent, while bath and shower products in general grew 2.7 percent. But the numbers aren’t entirely bleak. 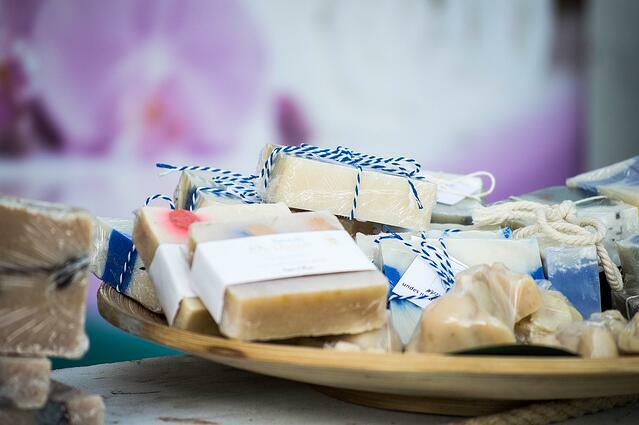 Sixty-four percent of consumers in the U.S. still reach for a bar of soap. Men and older Americans are more likely to. Fifty-three percent of men were willing to wash their face with bar soap and just 36 percent of women agreed to the same. Generational preferences seem to come into play. Bar soap has an old fashioned image and is more widely used by more mature Americans. Sixty percent of consumers 65 years old and above are fine with using bar soap on their faces. The younger the consumer the less likely they are to choose bar soaps over liquid variants. By comparison, 33 percent of those between the ages of 25 and 34 use bar soap. One would argue that soap is still soap and does the job of cleansing regardless of the form it comes in. Perception of cleanliness may also be a factor in opting out of choosing bar soap by default. Half of survey respondents believe bar soaps are covered in germs, a view widely held by Millennial consumers. Sixty percent of respondents of ages 18 to 24-year-olds said bar soap germs worried them. Only 31 percent of the 65 and older set were concerned about bar soap being germ-ridden. Where does the bar soap industry go to make a comeback? Fancy varieties might be the answer to wooing consumers. Margie Nanninga, beauty analyst for Mintel, says more than 60 percent of consumers would consider buying premium variations. “A broader variety of scents — and shapes — can help bar soap brands tap into the success of aromatherapy claims, positioning lemon as an energizing scent or amber as a relaxing fragrance,” Nanninga says.